Our shop is located in The Netherlands, therefore, we ship all our items by airmail or registered mail from The Netherlands. 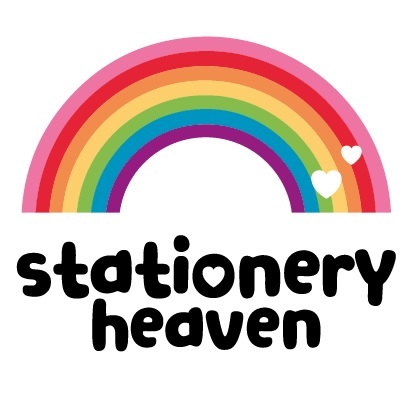 Stationery Heaven usually ships within two working days of receiving your order and after the payment has been received by us. You will receive an email when your order has been shipped and is on its way. If for some reason your order is delayed or cancelled we will notify you by email as soon as possible. The shipping costs are based on the weight and size of your package as well as the country you are from. Once you've selected your country in the shopping cart, the shop will automatically calculate your shipping costs for you based on your products in the shopping cart. The minimum shipping and handling costs for shipping are € 4,25. Are you living in The Netherlands? - We will ship your order FOR FREE with orders worth € 75,- or more for the following countries: Denmark (excl. Faroe Islands and Greenland), France, Italy, Ireland, Luxembourg, Austria, Spain (excl. Canary Islands), United Kingdom (excl. Gibraltar and channel islands), Sweden. - We will ship your order FOR FREE with orders worth € 100,- to all of the other European countries. Are you living outside of Europe? - We are very sorry, but at the moment we cannot offer free shipping for customers outside of Europe.